Meet our prototype Titus Rockstar Carbon 29er. Sculpted using state of the art high-modulus unidirectional full carbon construction, with 100mm of rear travel and tapered headtube. This is the first ever product that we've put into development since acquiring Titus and we've certainly got high hopes for it. 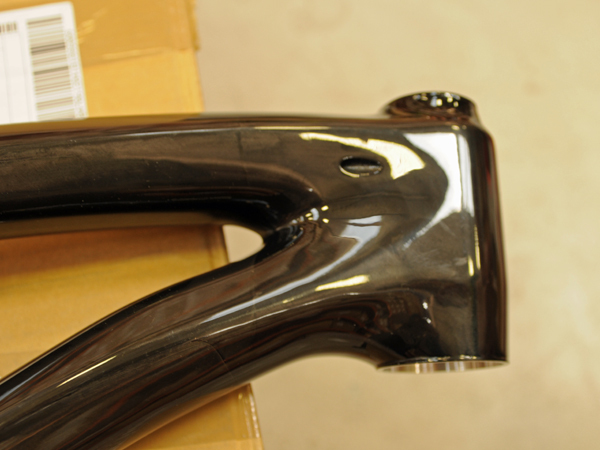 As ever, we'll be undertaking significant testing to ensure every aspect of the frame is tip-top before entering production. This particular model will be exhibited at the forthcoming Lake Garda Bike Festival followed by a thrashing around the Italian Lakes by our European tester, so keep your eyes peeled for his feedback shortly. If you're heading to the Lake Garda Bike Festival you can visit our stand to see the prototype in the flesh, plus you'll also have chance to sling a leg over a couple of top spec Titus test bikes including the racy X Carbon our mechanics just built up, pictured below. So what do you reckon? Let us know your thoughts via the comments box below, or join the conversation on Facebook and Twitter. Don't forget you can still get your hands on a premium Titus full suspension frame, equipped with a RockShox Monarch RT3 for as little as £799 with free UK delivery direct from the USA. Click here for details. If your looking for someone to structural test one im your man ! Still 130kg but geting around Sherwood pines Kitchner in under an hour. My poor old carbon 456 takes the strain but I would love a full susser ? Hi John, still at the prototype stage at the moment I'm afraid. Any idea when it'll be available, for what price and the likely colours used in the design? Any news on these frames then? Geo? Sizing? 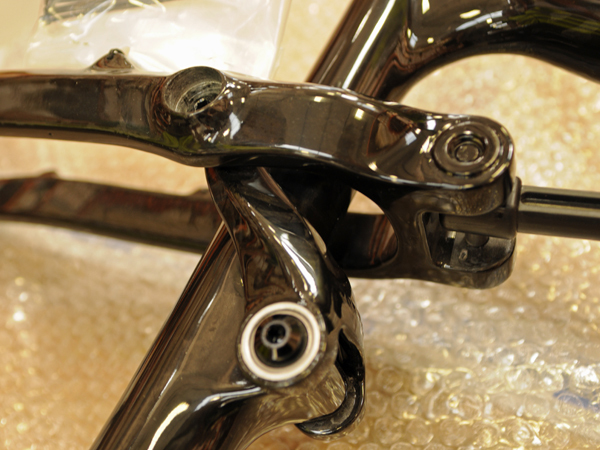 Bottom bracket and chainstay lengths? Oh and when are the Ti 29er frames coming? Must buy new bike, please make this easier. Oscar, t0m, I'll check the BB height with our designer and report back shortly. As for price, we're not quite sure yet, depends on how many changes we want to make after testing. 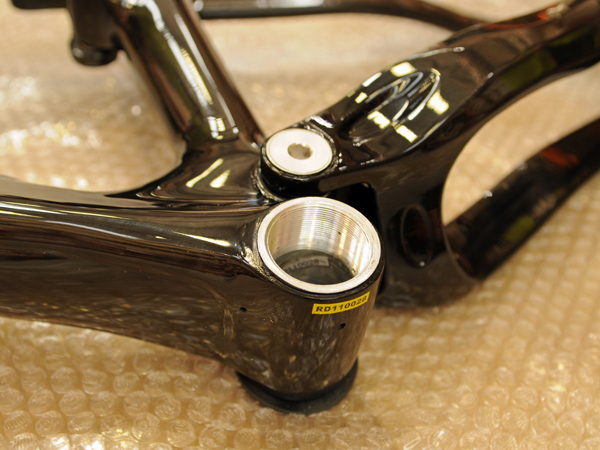 JAMESS, all current Titus frames take a 30.9mm seatpost. 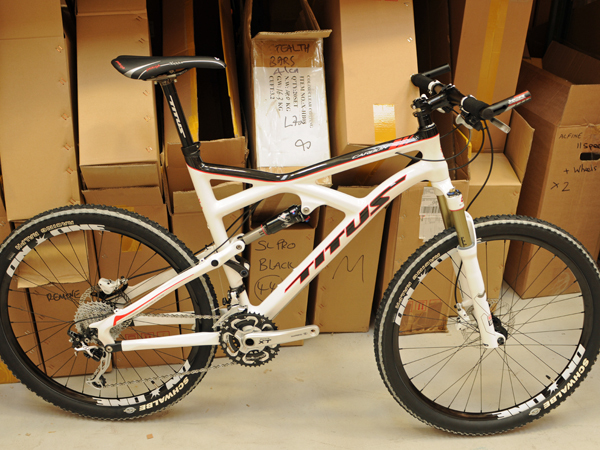 We are also hoping to begin selling Titus branded finishing kit shortly. Keeps your eyes peeled! Please tell me you've made the BB higher, I'm very interested in one. I've riding a few full sus 29ers they're very quick. Also what can we expect in terms of price, around a grand? Will the bottom bracket be higher than Titus' original Rockstar? Looks promising. Will you be selling the Titus logo parts ? Also, is the seat post 30.60 ? The white carbon frame and build looks fast just standing still. Really comes together nicely including the graphics on the wheels. You must be happy with that. Very tasty. The Titus logo parts are also a really nice touch.